While this post’s title suggests an art historical survey of fish depicted in their natural aquatic habitat, it seems that most artists prefer to paint fish and their marine kin posed on tables. 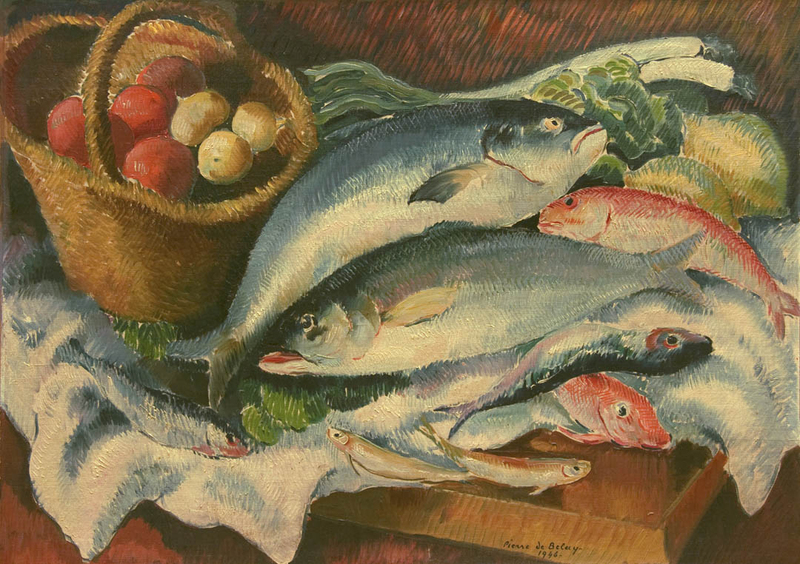 Pierre de Belay, Nature Morte Aux Poissons (Still Life With Fish), c. 1946, Oil on canvas, Guarisco Gallery. Click to inquire. While this post’s title suggests an art historical survey of fish depicted in their natural aquatic habitat, it seems that most artists prefer to paint fish and their marine kin posed on tables. Though a bit macabre to showcase fish in dry land, fish have fascinated artists and their integral incorporation into Dutch still life paintings of the seventeenth century have made the species synonymous with the art historical genre. Charles Warren Mundy, Porgy Fish, Fruit and Brass Vase, 2016, Oil on linen, Eckert & Ross Fine Art. Click to inquire. Today, our fascination with fish-and other ocean dwellers-have manifested into the massive programs associated with Shark week (commencing this week). 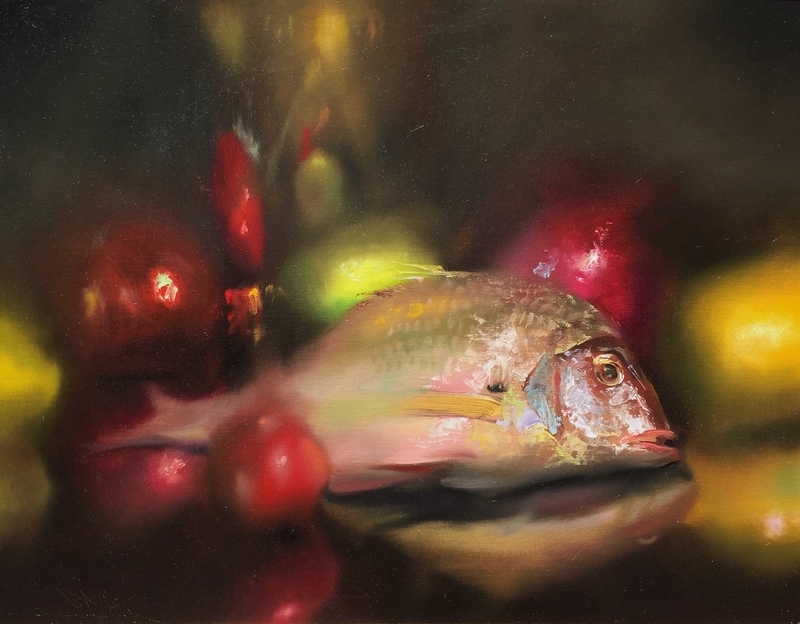 While fish now have become principle subjects on TV (rather than canvases), contemporary artists still depict them-often in reference to the historical still life. FADA Member Gallery Arcadia Contemporary has in their inventory Miguel Angel Moya, who devoted a series to sea creatures. Miguel Angel Moya, Shark, c. 2017, Oil on canvas, Arcadia Contemporary. Click to inquire. 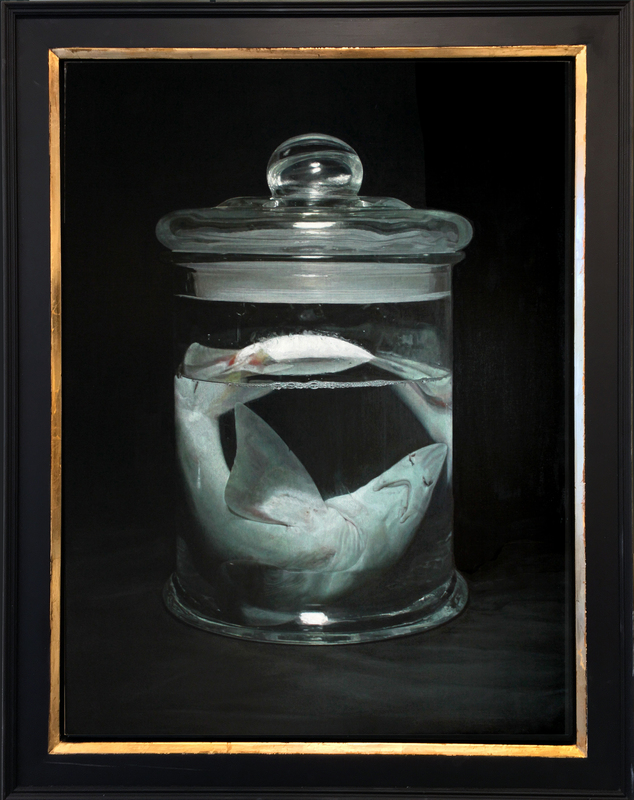 Whilst still lifes in FADA’s inventory highlights fish as apart of larger arrangements, Moya’s work showcases fish and sharks as biological specimens-reflecting how artistic approaches towards the subject has evolved from the 17th century. FADA’s inventory has more than dead fish. 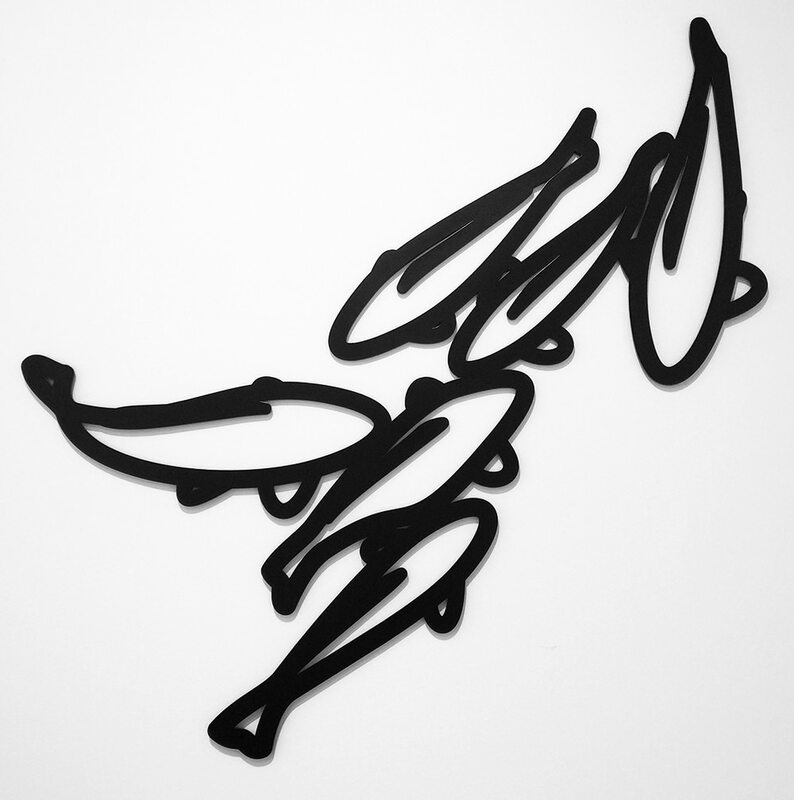 FADA Member Gallery Jonathan Novak Contemporary recently held an exhibition of Julian Opie’s ‘Nature 1’ series which included black aluminum silhouettes of carps. 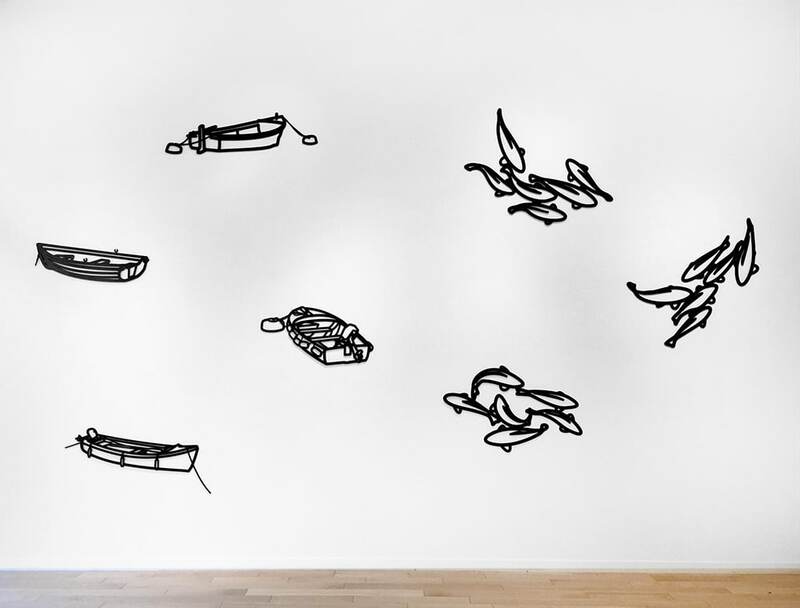 Fastened to a white wall, they appeared to be swimming. While the depiction of fish is not always indicative of morbid curiosity, artistic fascination with sea creatures-in a way-highlights the mystery of their aquatic existence.